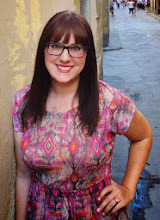 Welcome to "What I'm Reading," the first weekly feature on The Book Lovers' Nest! As an English major, I love both reading and discussing good books. Many people can simply read for pleasure, and I'm getting better at that. But no matter what I read, I always want to have some sort of discussion, even if it's just informal. And that's where this feature comes in. It combines pleasure reading with fun, thoughtful discussions - the best of both worlds. Here's how it works: Every Monday, I'll introduce a book that I'll be reading during the upcoming week. You are welcome to read along with me - you can even pick and choose which books you want to read. I would also love suggestions for books that I should be reading; if I'm going to do this every week, I'll need lots of ideas! The following Monday, I'll discuss my thoughts on the book: what I liked, didn't like, whether or not I'd recommend it, etc. I'll also pose questions, and I hope that you'll jump into the conversation. I hope to hear lots of different thoughts and ideas about the books, and I welcome your questions. You can also wait to hear what I have to say about the books before deciding if you want to read them (though I don't guarantee the merit of my opinions). OK, ready to get started? I know I am! This week's book is Crossed by Ally Condie. 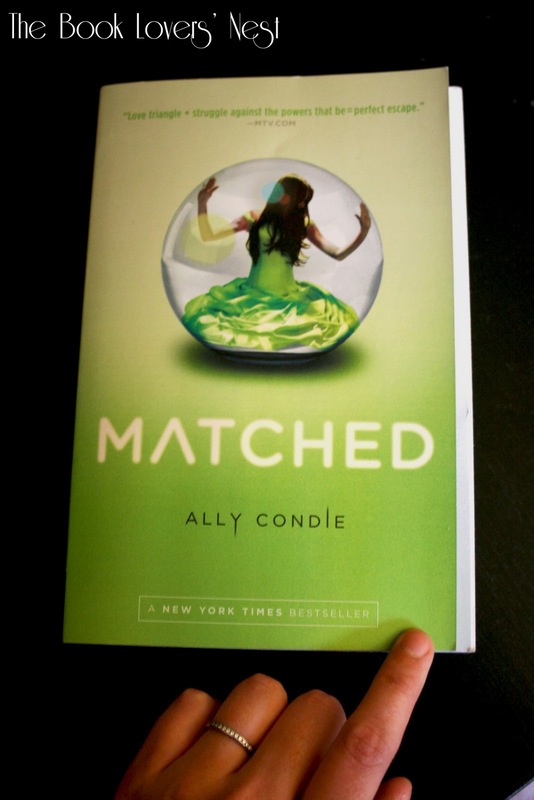 And yes, this book is the sequel to Matched, which you definitely need to read before starting Crossed. I highly recommend Matched, especially if you enjoy dystopian and young adult fiction like The Hunger Games. The book follows Cassia, a young woman who lives in a society essentially devoid of free will and choice. Almost every facet of life is dictated by the officials, from what you eat to when you die and who you marry. Cassia accepts the society until an error results in her receiving not one but two marriage matches, which prompts Cassia to explore the possibility of choice, and soon, she can no longer quietly accept the life that has been laid out for her. Reviews for the book are very positive. Entertainment Weekly calls it "The hottest YA title to hit bookstores since The Hunger Games," and the Lincoln Journal Star says, "Think The Giver, but sexier." I devoured Matched in just a few days, and I'm excited to continue Cassia's journey in Crossed. There are still a lot of lingering questions, and I have a hunch Cassia will meet more people who are also disenchanted with the society. "In search of a future that may not exist and faced with the decision of who to share it with, Cassia journeys to the Outer Provinces in pursuit of Ky - taken by the Society to his certain death - only to find that he has escaped, leaving a series of clues in his wake. Cassia's quest leads her to question much of what she holds dear, even as she finds glimmers of a different life across the border. But as Cassia nears resolve and certainty about her future with Ky, an invitation for rebellion, an unexpected betrayal, and a surprise visit from Xander - who may hold the key to the uprising and, still, to Cassia's heart - change the game once again. Nothing is as expected on the edge of Society, where crosses and double crosses make the path more twisted than ever." 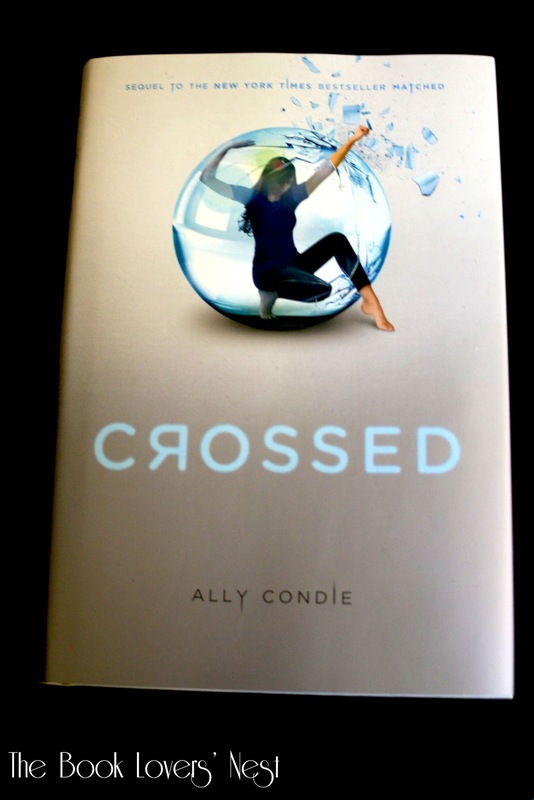 I hope you'll join me in reading Crossed this week and check back in for a lively discussion next Monday! If you're new to the series and want to start with Matched, I'm happy to talk about that with you. I'm sure I'll end up discussing the two books anyway since they're connected. Ooo this sounds like a good series that I'll have to check out! Another new book in a similar genre that I REALLY enjoyed was Under the Never Sky by Veronica Rossi. One of my good friends is friends with the author which is totally cool! We should start a branch of this book club that meets up every once in a while--I still haven't seen you, and I know we're not far from each other! That is SUCH a good idea! And I'm totally emailing you soon. Life has been a little crazy since moving down here, but I think we're finally hitting our groove. And I would love to see you and catch up! Matched sounds amazing!! I cannot believe I haven't heard of it, especially as someone who absolutely devoured the Hunger Games Trilogy and love that genre. I'm super excited about this because I've been looking for another book to read. Thanks for the recommendation! I cannot wait to pick this one up :). Maybe I can get through both of them before next Monday! I like this weekly series! It will give me some more options of reading material! I'm reading the Girl With the Dragon Tattoo right now, but I think I might put this on the list for vacation reading coming up. This sounds like a great weekly series. I love reading for pleasure, but miss being able to discuss the books I read. I never turn down a good book recommendation, and can't wait to see the books you recommend, and the discussions that follow. I found the Hunger Games immensely fascinating (even if I am still undecided about how I feel after the ending), so I will have to take a look at the matched series too. Thanks so much! I hope you'll read the books with me and come back for a lively discussion. :) We'll definitely be talking about the Hunger Games in the future - can you believe I still have to read the last book? I keep putting it off! Yay! I'm definitely always keeping my eyes peeled for good books, and I can't wait to share more of them on this blog. I'm also excited about getting recommendations from all of you, so be sure to pass on any good finds. And have a great time on your trip!